This is my eight year working in the Windsor C-1 School District. 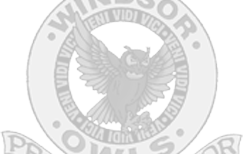 I attended and graduated from Windsor (go Owls!) After leaving the Owl’s nest I went on to earn a Bachelors of Elementary Education and later received a Certification in Early Childhood Special Education from Missouri Baptist University. I live in South Saint Louis with my husband and our daughter– who just happens to be my number one shopping and coffee shop girl! This summer we spent our days at the pool, taking parent/child gymnastics classes at the YMCA, early morning runs, and swinging- LOTS of swinging! As a family we enjoy going for runs in our neighborhood, eating donuts on Sundays, visiting the Zoo, and playing at the park.